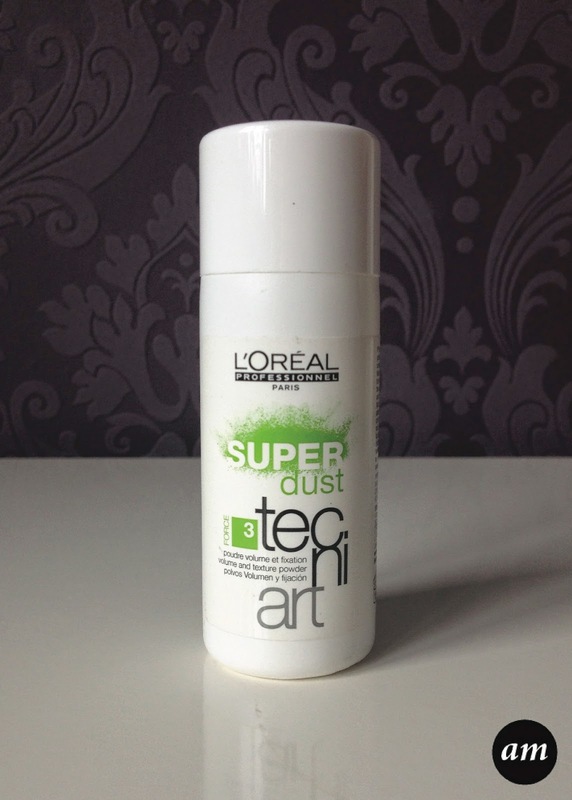 Super Dust by L'Oreal is my favourite and must have product for creating up dos or backcombing hair. It is a white powder that adds volume and texture to your hair. 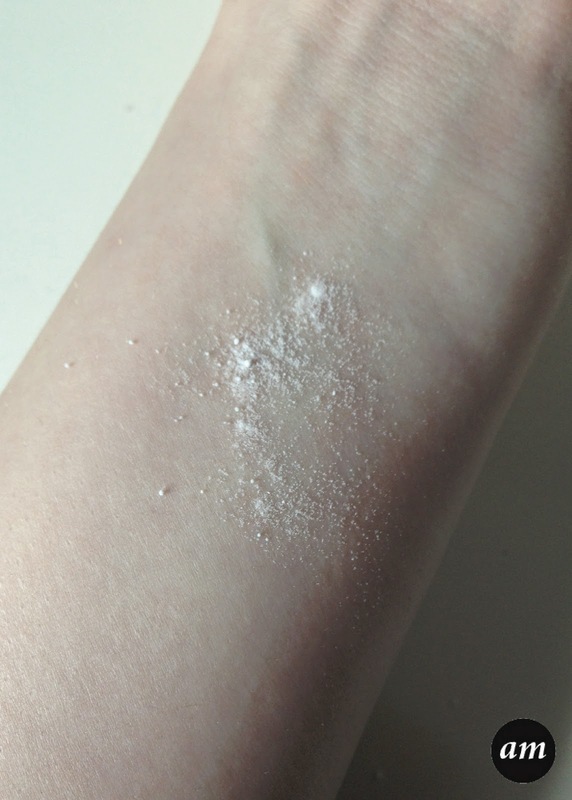 It is completely invisible once you have applied it and you can use as much as you like, as it doesn't make your hair look greasy because it's a powder. 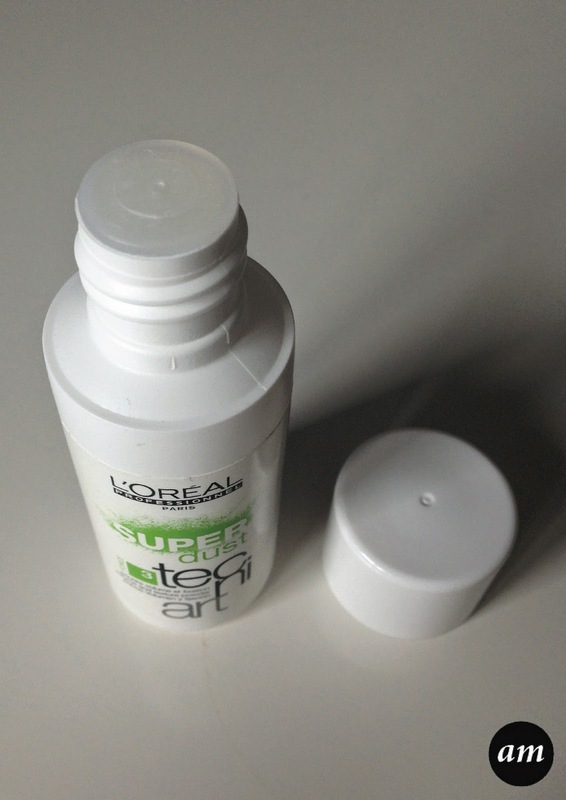 Super Dust forms like a cement base in your hair, but don't panic it is easy to wash out! It holds backcombed hair really well and adds texture and a little bit of volume to un backcombed hair. The only bad thing I have to say about this product is that I don't like how it feels in my hair. It's hard to explain, but it feels kind of sticky and rubbery and I have to wash my hair after using it. To apply this product you simply section off a piece of hair and then tap the bottle so the powder falls onto the roots of your hair. I then like to rub it in a little with my fingers, and then you're good to go. It takes me no longer than a minute to apply it to my very long hair! This product is fine to use on most hair types and lengths, except african/Caribbean hair as you wouldn't need it. It is a brilliant product that everyone should have in their hair styling kit and it lasts you a while. You can purchase it from most hair salons and online from Beauty Expert for £13.45. What products do you like to use in your hair?